The Seine Child Shower and Commode Chair is a versatile and convenient system designed to suit a wide range of children. Not only can it be used as a commode, it is built in a way that it can not only be used as an over WC seat, but also as a shower chair. It features a detachable tubular metal base for storage purposes, with 4 braked castors for safety. 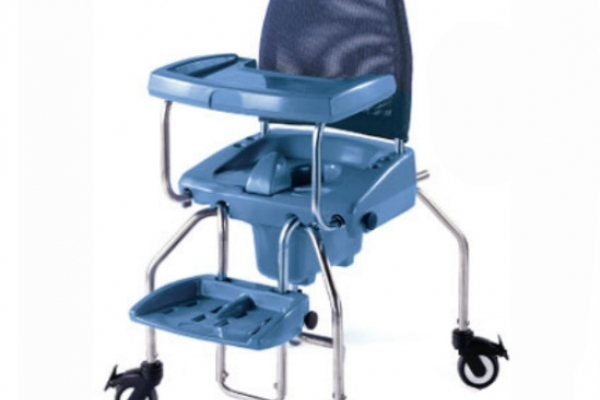 To add that extra touch of comfort, it has a padded backrest, arm supports and a height adjustable footrest. This particular model is suitable for children 1-5.